UPDATED BBC Radio 2 is launching Radio 2 Country, its second DAB digital radio pop-up station to date, which will bring live coverage of the UK's biggest country music festival, C2C. It follows on from last year's first pop-up station Radio 2 Eurovision, where the extra service will take a chunk of bandwidth on the BBC's national DAB multiplex for a few days. BBC Radio 2 Country will broadcast from Thursday 5 to Sunday 8 March from midday to midnight and will include a range of specially commissioned programmes and guest presenters from the world of Country music; brand new and archive documentaries as well as live broadcasts - kicking off with Welcome To BBC Radio 2 Country With Bob Harris (Thursday 5 March, midday-1pm) with an introduction to the service and a preview of what's to come. Programming highlights across the four days include Suzy Bogguss’ Classic Country (Thursday 5 March, 3pm-4pm), Ricky Ross on Celtic Roots from BBC Scotland (Thursday 5 March, 11pm-midnight), Baylen Leonard’s Bro Country (Friday 6 March, 8pm-9pm), Simon Mayo’s Big Screen Country (Friday 6 March, 4pm-5pm), Steve Wright's Country Love Songs (Sunday 8 March, midday-1pm); and a major exclusive as Patrick Kielty Meets Garth Brooks (Thursday 5 March, 4pm-5pm). The service will broadcast live coverage of the UK's biggest country music festival C2C: Country to Country from London's O2 on Saturday 7 March and Sunday 8 March from 4pm to 11pm/10.30pm. The station is planning to broadcast live performances from Luke Bryan, Florida Georgia Line, Lee Ann Womack and Brandy Clark on Saturday, and Lady Antebellum, Jason Aldean, Brantley Gilbert and Kip Moore on Sunday. 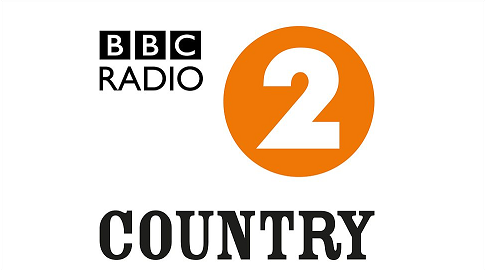 BBC Radio 2 Country will also be available via the iPlayer Radio app and via the Radio 2 website. The DAB service should automatically appear in the DAB station list ahead of its first programme when your DAB radio is tuned into another BBC National DAB station. It will be a mono stream. "Radio 2 Country [will appear] in the station list between Radio 2 and Radio 3 on a digital radio. ... The station name displayed will be BBC R2C or BBC R2Country." It advises that some radios will need to be retuned using the "Auto Tune" or "Auto Scan" function for BBC Radio 2 Country. The BBC has also confirmed changes to other DAB services to accommodate the temporary station: It says "The national DAB multiplex [will be] reconfigured to allow for Radio 2 Country. The change to the bit rate is marginal – Radios 1, 2, 6 music and 1 Xtra will use 112kbps each instead of 128kbps – all the services remain in joint stereo. "Some listeners may discover that the Daily Service and Yesterday In Parliament are not available via Radio 4 LW (on their DAB) radio from 5th – 7th March." Whats the email address for requests please???? Radio 2 please keep this station open with country music. Brilliant. Very little country music available anymore. Thank you for the last few days. Brilliant please keep this station open with Country music.